Edward was the youngest of 6 siblings born to Frederic and Lydia, nee Elkins, who married in Winchester in 1885. The family lived at 61 Arthur Road, Shirley once the move was made to Southampton. Frederic was born in Suffolk in 1858 and the date of his death is not known. Lydia was born in Hursley in 1864 and she passed away in Willesden in 1943. Gordon John b. 1887 Hartley Wintney and d. 1980 Chichester. Married Alice M. Burridge in Farnham in 1919. Muriel b. 1888 Hartley Wintney and d. 1983 St. Austell. Married James Ward in Southampton in 1923. Was in Winchester Hospital at the time of the 1911 census. Harman b. 1889 Hartley Wintney. Married Concetta L V C Taylor in Malta in 1912. Married Elsie Coomber in Uckfield in 1930. James b. 1893 Hartley Wintney and d. 1970 Southampton. Married Emily G. Ashford in Southampton in 1920. Ashley Coulson b. 1896 Hartley Wintney and d. 13.5.1966 Corsica. Married Agnes F. Chadney in Birmingham in 1921. The Battalion was formed in Reading on 25 August 1914 and placed in the 12th (Eastern) Division. The division landed in France on 31 May 1915 and transferred to the 36th Brigade in the same division on 6 February 1918. Edward took no part in the early actions, because he was attending Taunton’s from 1913 – 1917. He would have joined his unit when it was taking part in actions on the Somme. The area around Sailly-Laurette did not see any fighting until 26-27 March 1918, when the Third Army withdrew to a line between that town and Albert ahead of the German advance. This line was held until 4 July when it was advanced beyond the town. On 8 August, the first day of the Battle of Amiens, Sailly-Laurette and the road to Mortancourt were disengaged. Edward may have only been in action for a short time, but he obviously performed well as he was awarded the Military Medal. The original cemetery was begun in August 1918, with 109 burials. After the Armistice, more graves were brought in from the surrounding area. The cemetery now contains 772 WW1 Commonwealth burials and commemorations. Education & Employment: Edward was captain of Darwin Company at Taunton’s. He matriculated and was studying for the intermediate examination. He played in the cricket and football teams at Taunton’s. Life during the War: Edward was still at school for the first three years of the war. He appeared in the Southampton Pictorial newspaper on 9th August 1916 as he won 1st price in a georgraphy competition run by the Consul of Ecuador. Edward served with the A company of the 5th Battalion of the Royal Berkshire Regiment. He had received the Military Medal for gallantry and had been promoted to Corporal on the field. 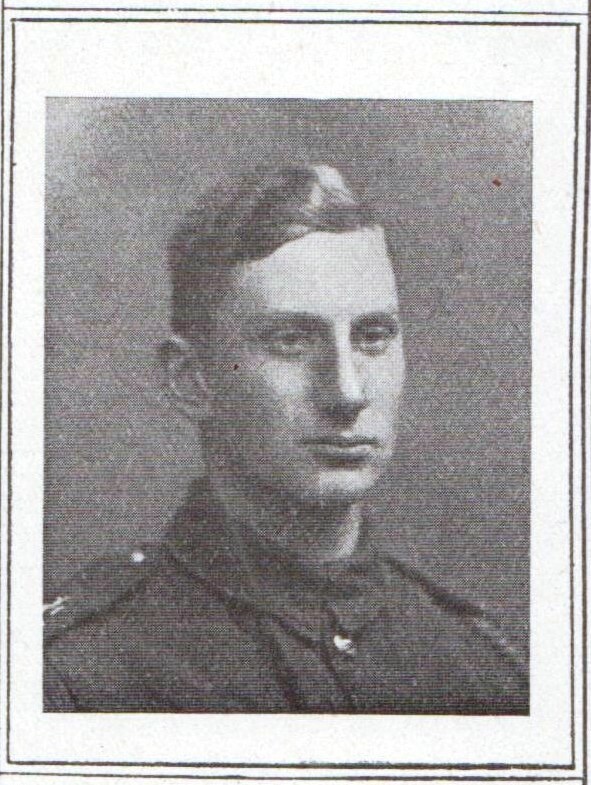 Edward died on 11th August 1918 aged 19 years.